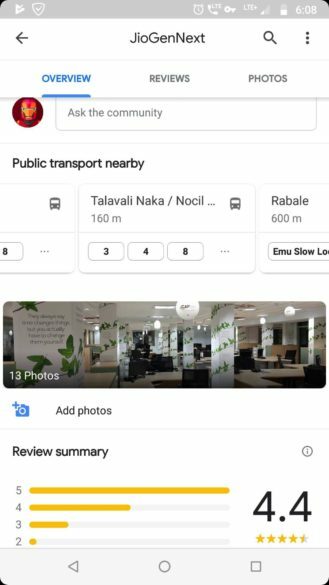 I often use Google Maps and public transport to get around while traveling. During my trips, there's this one missing feature that keeps on puzzling me: why is there no easy way to see public transport stops near me? Or why is there no section in any listing on Maps that shows stations near it? Instead, I have to zoom in and out on the map, trying to figure out what the closest option is. Thankfully, that's changing now as Maps has begun to display nearby transit stops in place listings. Open any point of interest on Maps and you'll begin seeing (it's a server-side test for now) a new section between Popular times and Photos. Titled Public transport nearby (or Transit nearby), it displays all the bus, metro, train, tram, or other public transport stops nearby, how far they are, and the lines that service them. Tapping it opens the stop's listing where you can check its live transit timeline. Although our tipsters first spotted this addition in India, we were able to confirm that it shows up anywhere there's a public transport system supported by Google. Below are a few examples from some European cities. 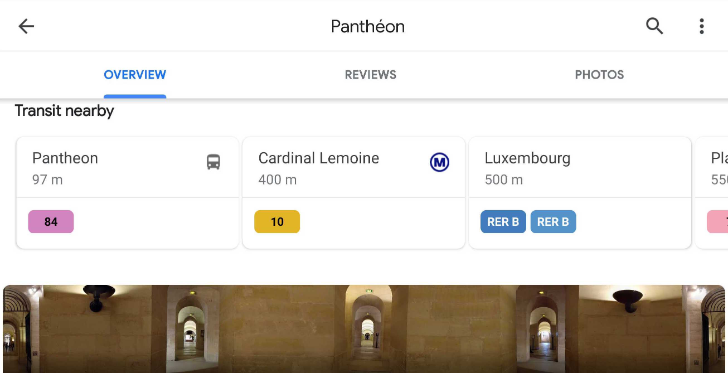 Most of us probably use Maps' directions to get around, but if you're planning a trip and don't know how accessible a hotel/restaurant/place is, this can be a big time-saver. No more going back to the map, zooming in and out to find a stop, tapping it, and asking for directions to see how far it is. It can also be handy if you're someplace not familiar and you just want to see your options for public transport nearby. This does seem to be a server-side change though, and not all of us are able to see it yet, despite being on the same Maps version as our tipsters (10.8.2 and 10.9.0). I'll be twiddling my thumbs impatiently while I wait for this feature to reach me before my trip to Barcelona next month.